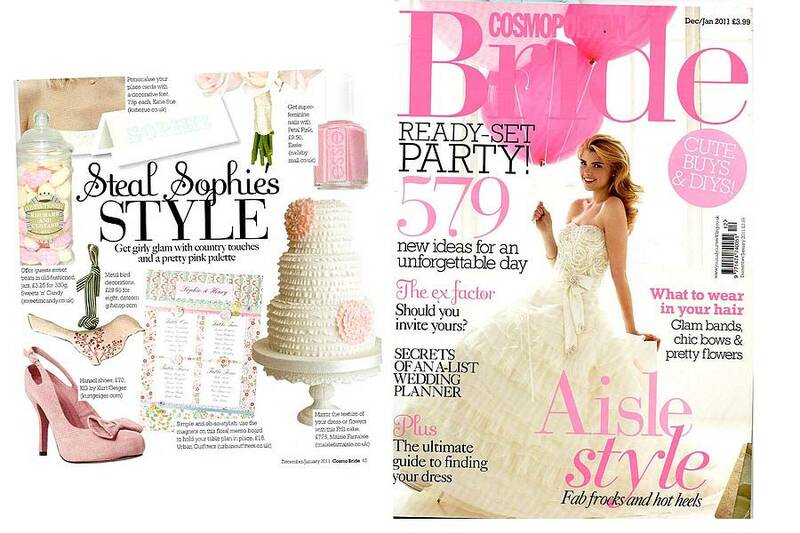 As seen in Cosmo Brides magazine. 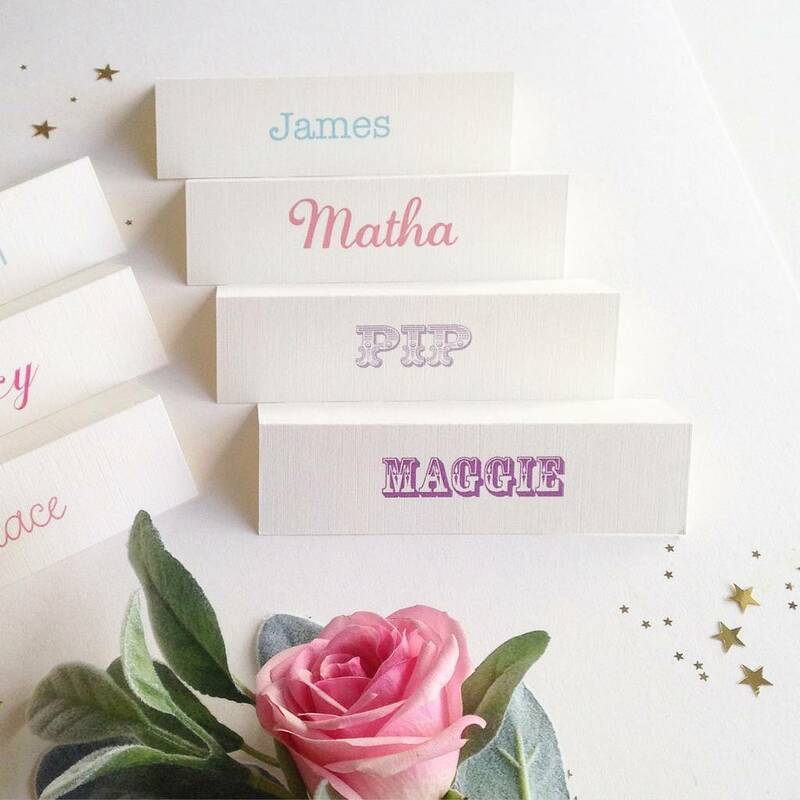 Beautifully personalised name cards perfect for your occasion to compliment your style and theme. 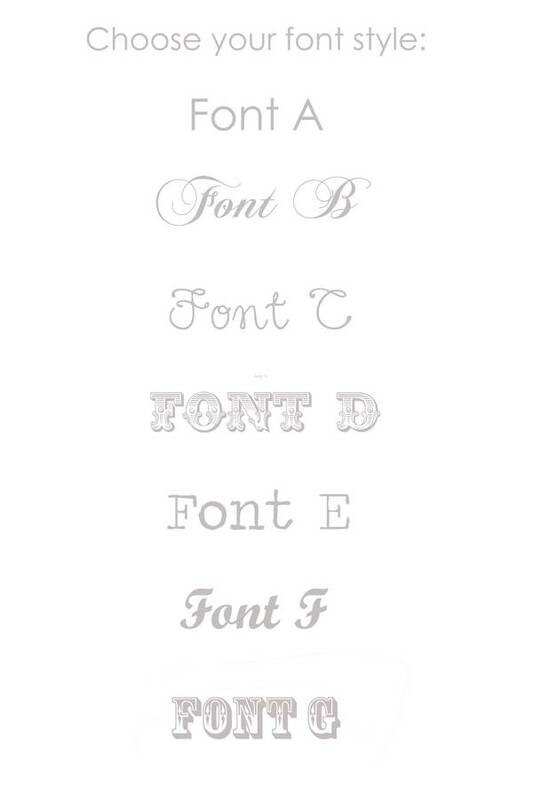 Simply choose your size, card stock, font style and colour to match your theme. Use the quantity box to select exactly how many name cards you require. If you have more than 10 names please send in the ‘message to seller’ box. These name cards are just for first names and more wording on the back. PLEASE NOTE the minimum order is 20 on these name cards. If you can not make your mind up, get in touch. 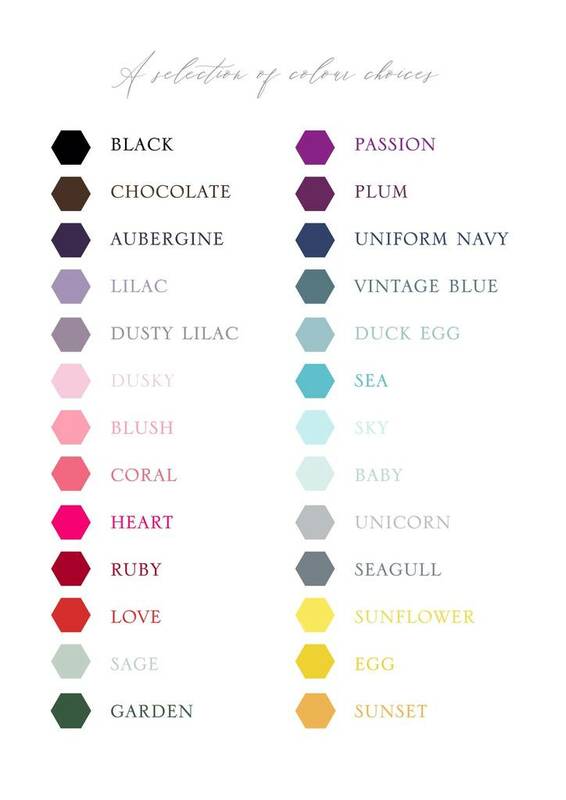 We will send you up to 3 samples in different styles and/or colours for you to choose from - absolutely free of charge. 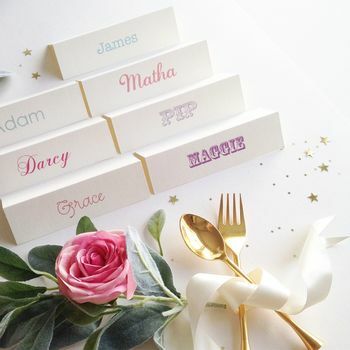 Matching unique table plans and menu cards are also available in your personalised style, please see other items. 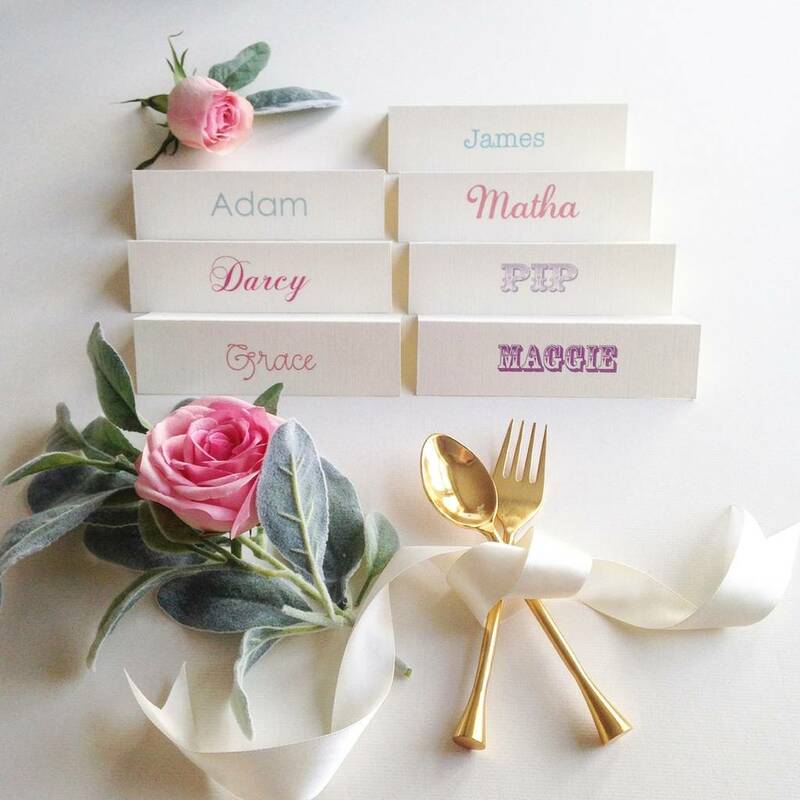 This product is dispatched to you by Katie Sue Design Co.